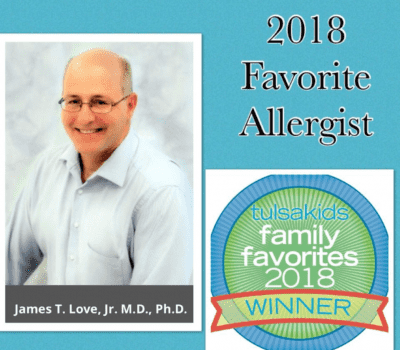 Allergy Clinic of Tulsa’s very own Dr. James Love is the 2018 TulsaKids Family Favorites contest winner for the Favorite Allergist category. Dr. Timothy Nickel is the 2018 Finalist for the same category. We couldn’t be more proud of our physicians! Sometimes children labeled with food allergy due to past positive tests aren't really allergic at all and can eat all and can eat these foods without symptoms. Your allergist may want to introduce your child to these foods, using a safer manner than just trying it at home. This is called a food challenge. Ask your allergist if this would be an option for your child. 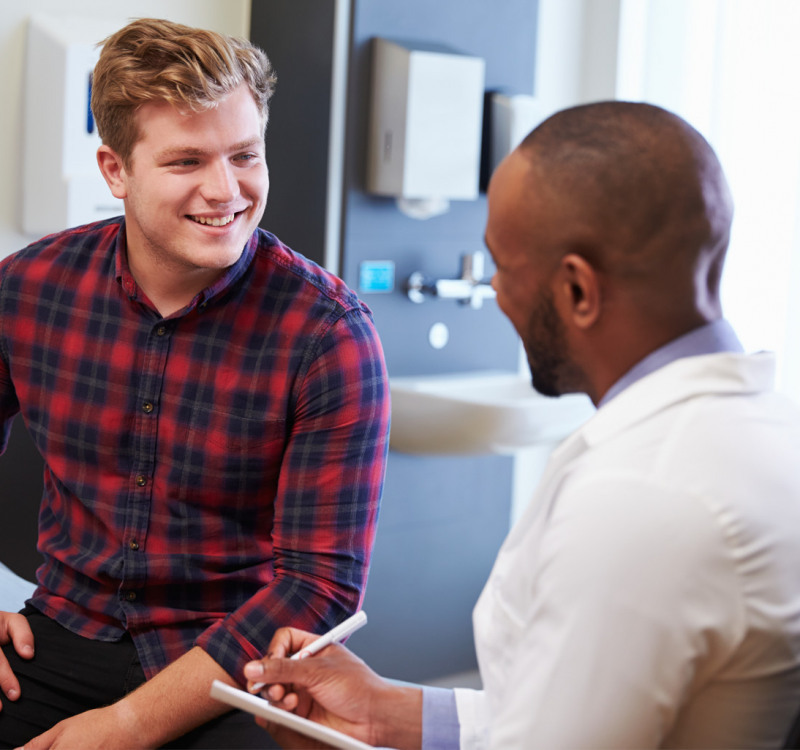 Our primary goal at Allergy Clinic of Tulsa since 1959 is to provide our patients focused, cost efficient medical care with stated treatment goals and measurable results. We hope you will browse our website and feel free to contact us with questions, comments or to schedule an appointment. Our medical staff includes seven board certified medical doctors trained in pediatric and adult treatment of allergy, asthma and immunology related conditions, as well as testing for various food and drink allergies. This place has changed my life! I used to be sick almost every spring and any windy days... Resting better and more functional! 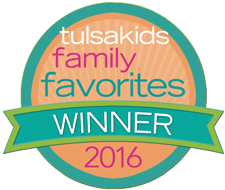 TY allergy clinic of Tulsa! This and my HiTech air machine has made a world of difference! ACofTulsa Rocks! ACT was life saving to my son. For three years we struggled with my sons allergies before we met Dr. Love. We are so thankful to him for his care. He improved my sons life drastically with his guidance and care. I must also give praise to Todd Coleman and Karen Arnold ... they have been great docs as well along our journey. As any mother of a child with allergies knows, it can be life threatening and letting your child grow up and be normal is sometimes scary and hard to do. Dr. Purser has enabled Shelby to spread her wings and enabled me to let go, she has given her a great freedom and a priceless gift. I am thrilled to have her care and encouragement for Shelby. We will be closed Monday September 3rd for Labor Day.